by Stirling PropertiesPublished December 3, 2018 December 3, 2018 Leave a Comment on Come Celebrate Christmas at the Square! Tis’ the season to celebrate! Join us at Hammond Square for the 6th Annual Christmas at the Square celebration in Hammond, Louisiana, on Saturday, December 8th from 10am-12pm. This FREE event is open to the public and a holly jolly time for all ages! Santa and Mrs. Claus will be in attendance to help spread the holiday cheer. The celebration will feature a petting zoo, pony rides, face painting, a caricature artist, a live radio remote with Cajun 107.1 and more. During the event, Hammond Square will also be collecting personal care items for Our Friends Closet, a community based nonprofit organization that provides hygiene and personal care products to low income, homeless and unaccompanied students in need. Please help us make the holidays special for middle and high school students in Tangipahoa Parish by donating items such as toothbrushes, toothpaste, body wash, feminine products, laundry pods, face wipes, socks and more. Stop by Our Friends Closet’s booth to drop your items during the event! 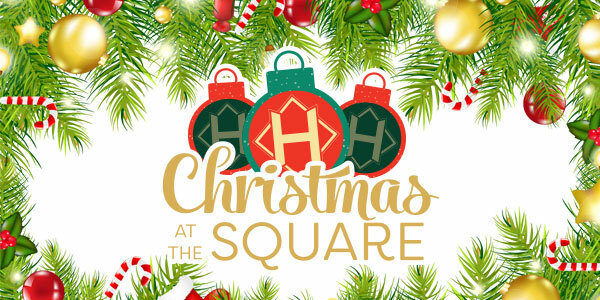 So come out and celebrate Christmas at the Square with us…and Santa Claus! While you’re there, don’t forget to visit Hammond Square’s great retail stores and restaurants for all your Christmas shopping and holiday needs.